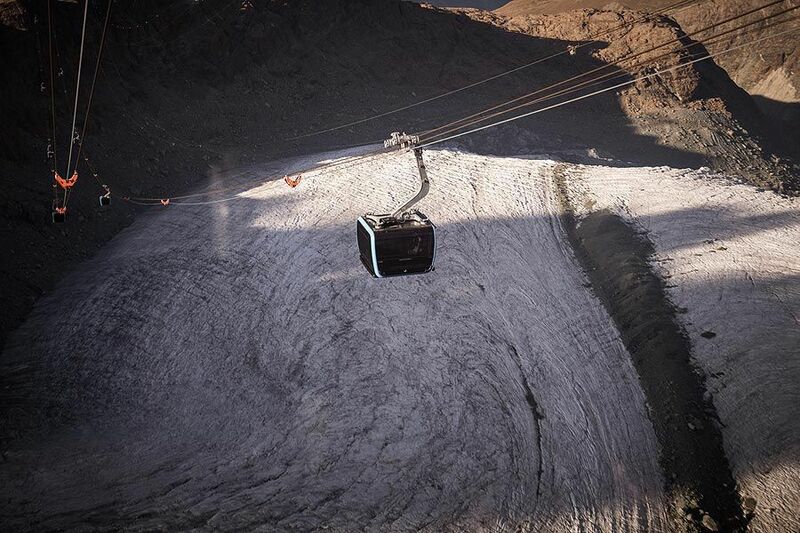 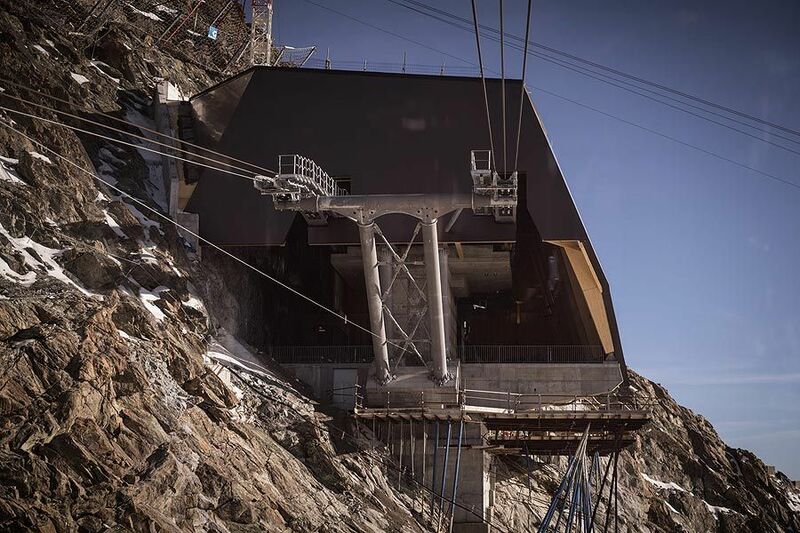 After around two-and-a-half years’ construction work, the “Matterhorn glacier ride” – the world’s highest 3S cableway – has finally opened as planned, and Zermatt has gained a new attraction. 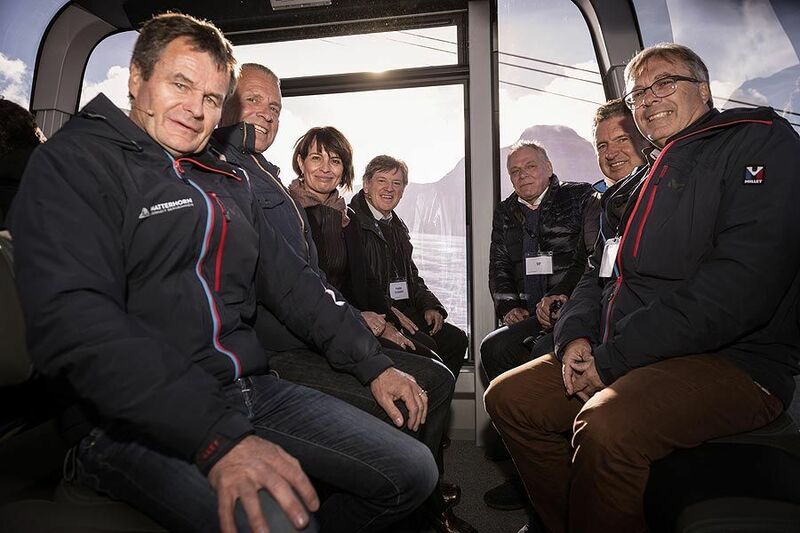 From the beginning of the 2018/19 winter season, passengers will be able to use the new cableway to reach the Klein Matterhorn. 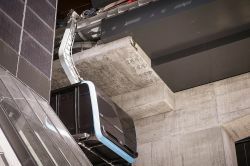 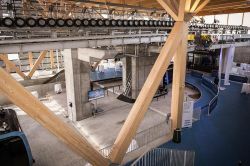 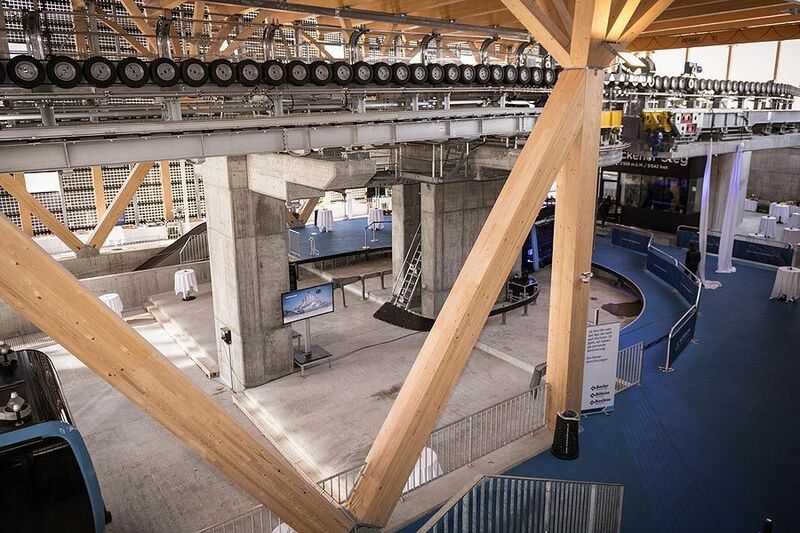 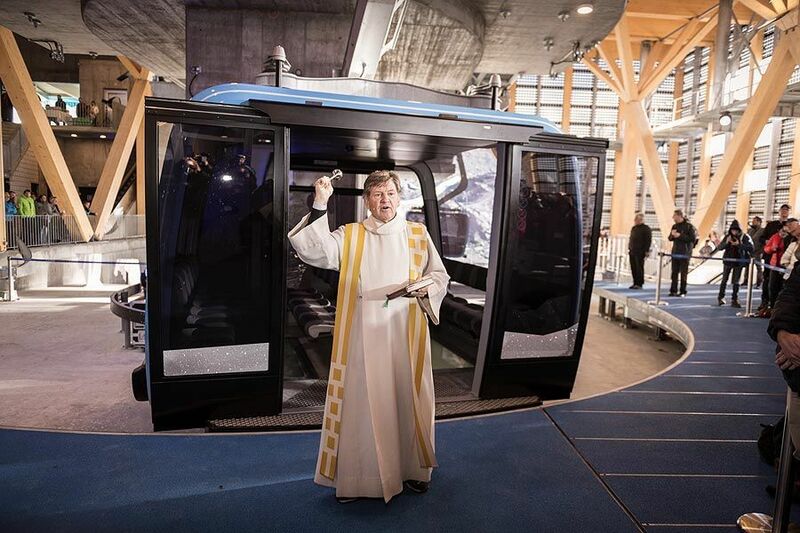 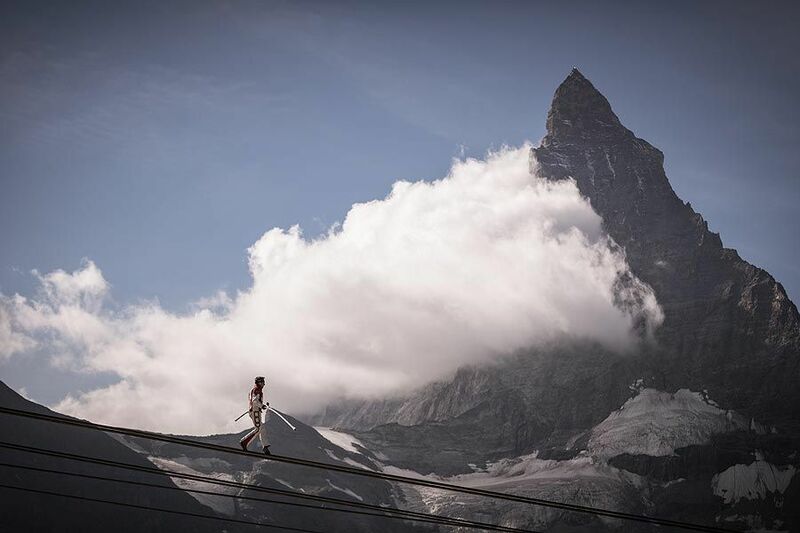 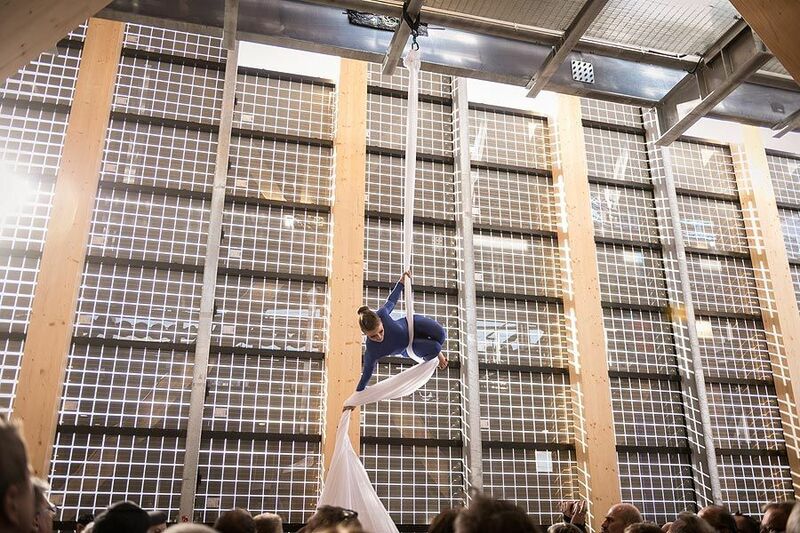 An opening ceremony befitting a joint project laden with superlatives saw the official inauguration on Saturday of the new 3S cableway connecting the Trockener Steg mountain station and the “Matterhorn glacier paradise” on the Klein Matterhorn (at 3883 metres above sea level). The event was attended by members of the construction workforce, media representatives and celebrities from all over Switzerland. 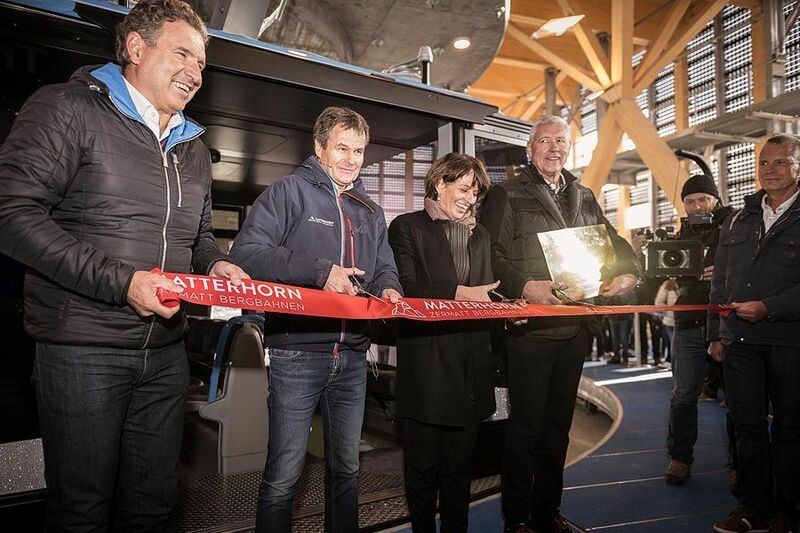 Further underscoring the significance of the project for Switzerland and the tourism industry, Federal Councillor Doris Leuthard was there to cut the red ribbon: she congratulated everyone involved on their superb achievement, which she said showed that Switzerland was capable of setting new standards both in tourism and cableway construction. 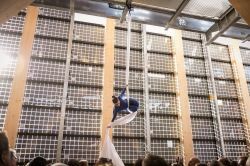 “This is something we should be proud of,” the infrastructure minister declared. 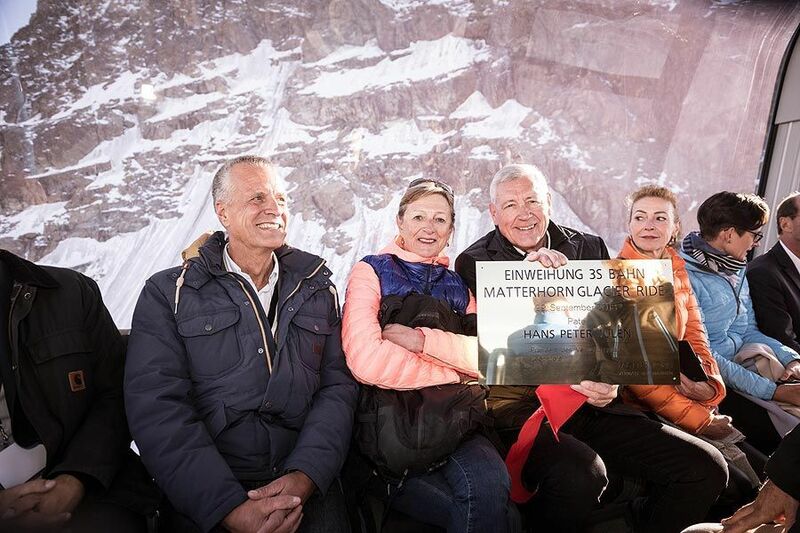 She highlighted the impressive feat of building the cableway under such difficult circumstances on a construction site at an altitude of almost 4000 metres. 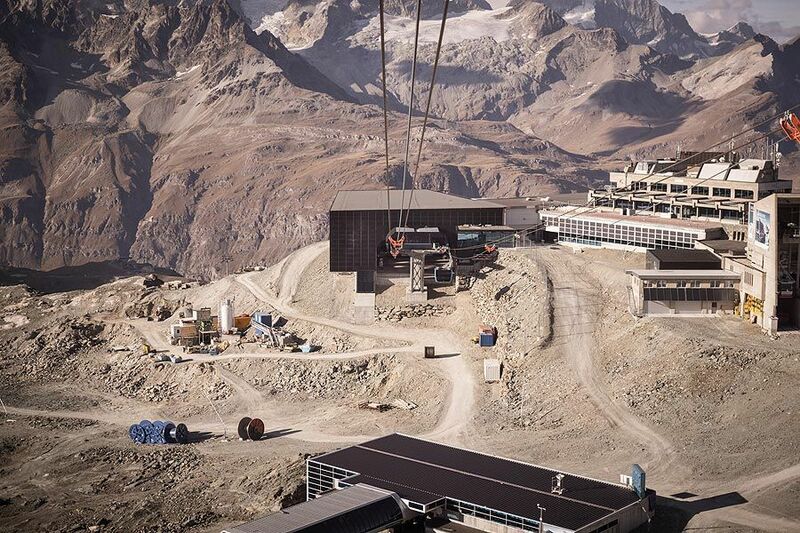 Zermatt Bergbahnen AG and cableway manufacturers LEITNER ropeways were responsible for the construction of the Matterhorn glacier ride, which is 3940 metres in length. 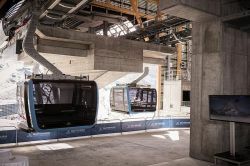 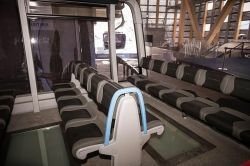 Once the new cableway officially starts operations for the forthcoming winter season, passengers in Zermatt will be able to board 25 gondolas, each with 28 seats conceived by the Pininfarina design studio, for the journey to Europe’s highest mountain station, situated at 3821 metres above sea level. 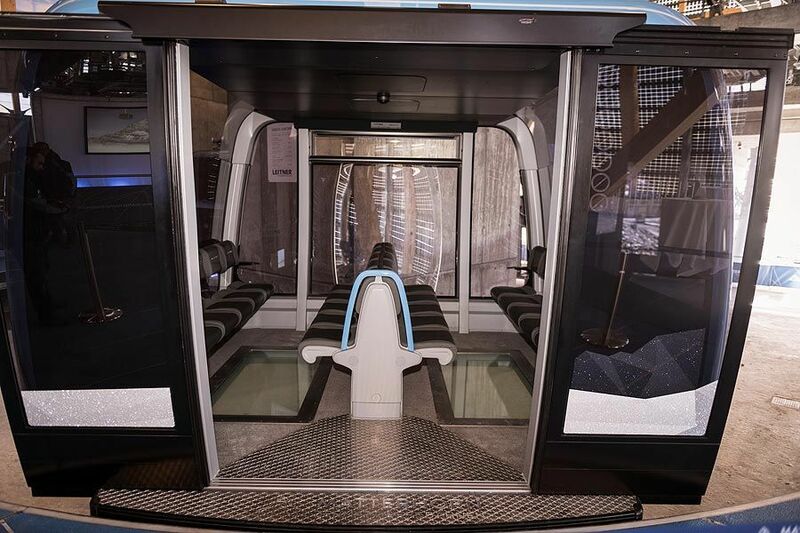 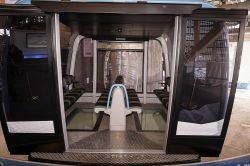 Four of the gondolas are the special “Crystal ride” cabins, encrusted with thousands of Swarovski crystals and featuring an integrated glass floor through which passengers will be able to observe the 200 m drop below their feet – not a view they will forget in a hurry and perhaps one that will set a few nerves jangling. With a carrying capacity of 2000 passengers an hour, waiting times at Trockener Steg will be a thing of the past. 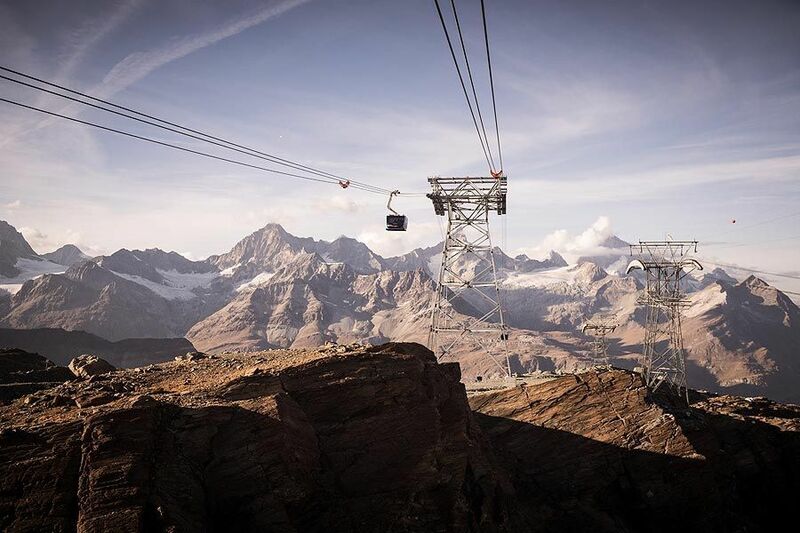 The nine-minute ride offers first-class comfort and a fantastic all-round view of Zermatt’s majestic high-alpine panorama. 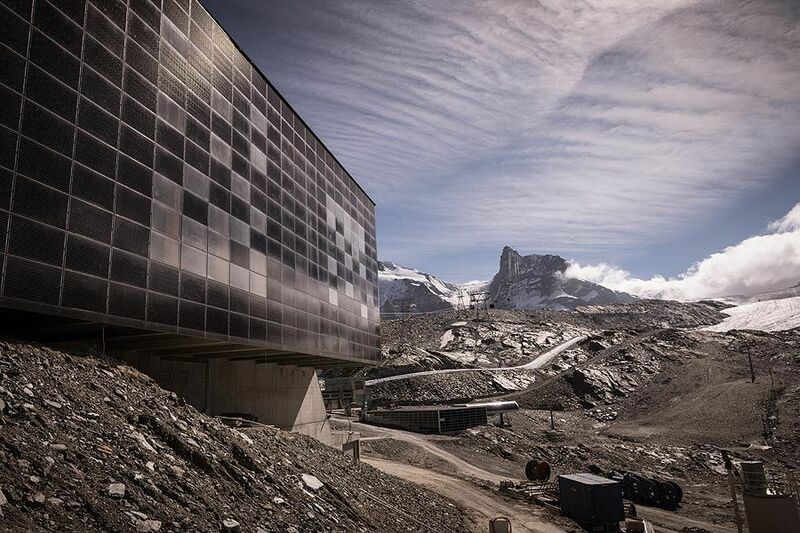 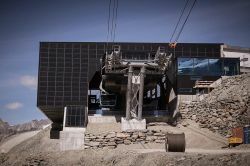 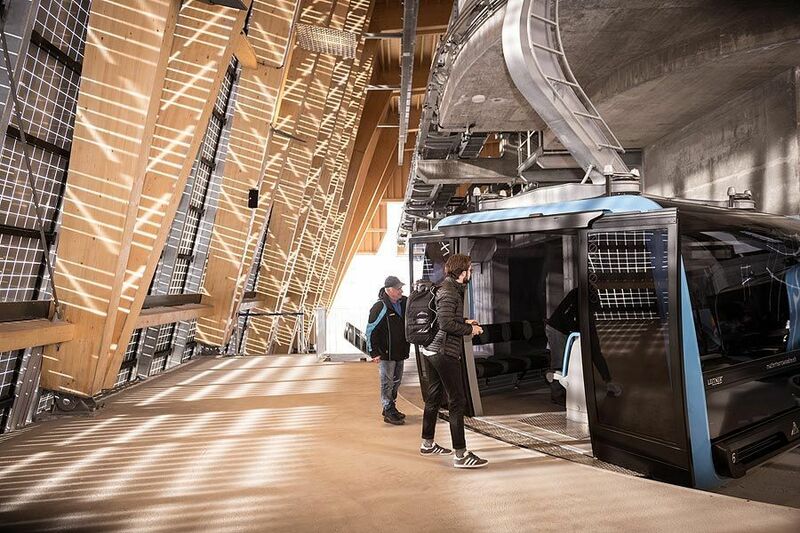 With this state-of-the-art lift facility, the luxury gondolas and “Crystal ride” cabins, Zermatt has once again come up with something quite unique. 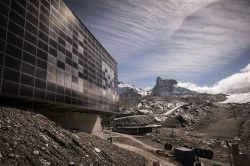 To date, there is no comparable project anywhere in the world. 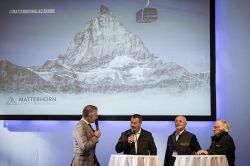 In time, the “Matterhorn glacier ride” is set to become a must-see attraction for visitors from Switzerland and around the world. 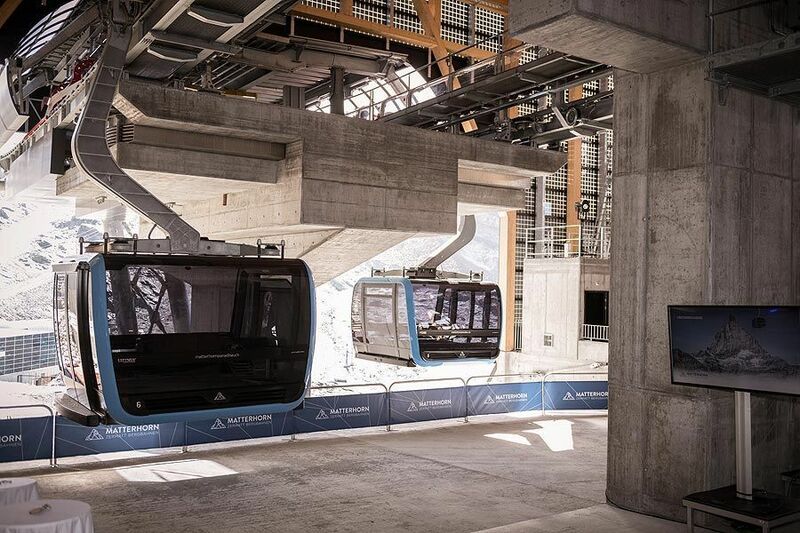 Sandra Stockinger, Head of Marketing and Sales at Zermatt Bergbahnen AG, says: “With the new lift we are offering our customers greater comfort, eliminating the waiting time to get to the Klein Matterhorn, and giving them the chance to take a spectacular cableway ride across our glacier. 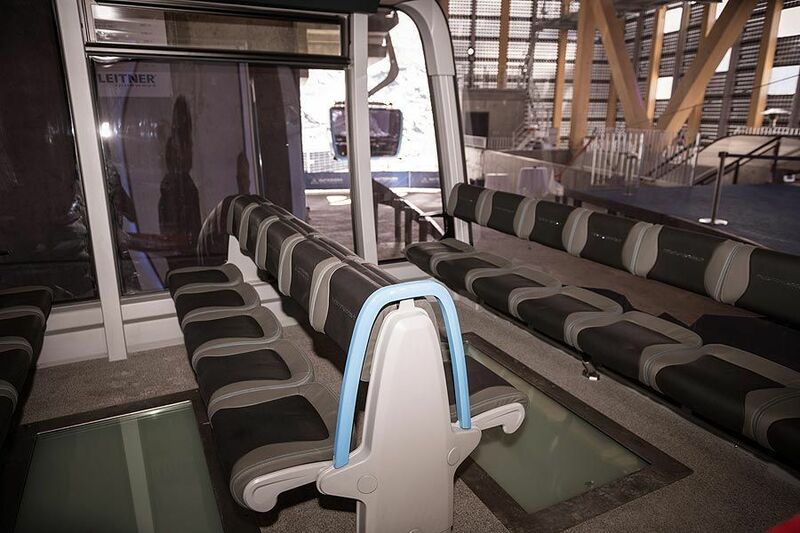 We can hardly wait to see how guests will react to the lift and the ‘Crystal ride’ glass-floor cabins. 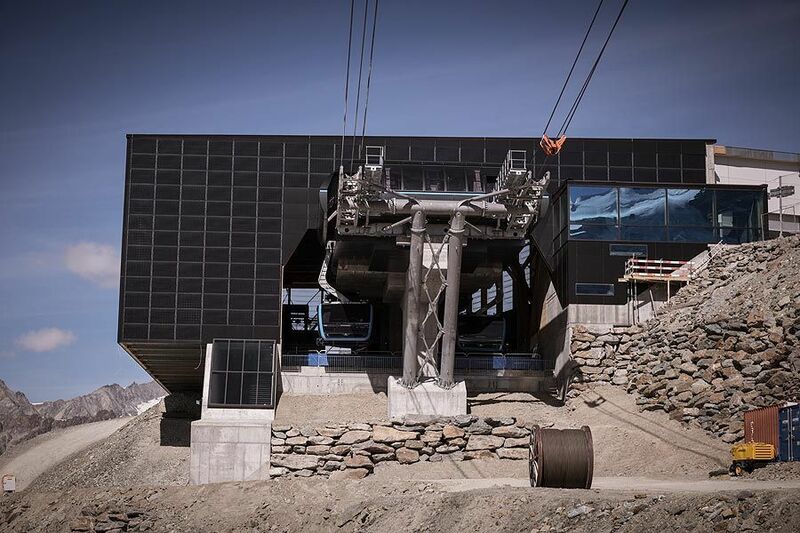 Naturally, we hope they enjoy it as much as we enjoyed the development process and the cableway’s construction.” Three things are guaranteed when people board the new gondola lift in Zermatt: breath-taking views, a touch of glamour and a gripping experience.